Okay, maybe it isn't a FREE dog wash since you have to donate but your canine will be feeling pretty special after a bath with wild Maine blueberries or certified organic oats. 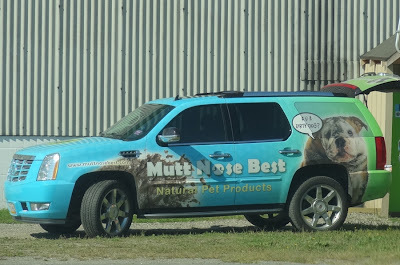 Mutt Nose Best, a Bangor-based company known for their local, green, and sulfate-free natural pet products, will be giving dog washes with a donation to the Bangor Humane Society. The "Clean Paws 4 A Cause" event takes place at Blue Seal on Stillwater Saturday, September 22, 2012 from 11am-3pm. Don't forget to BYOT (Bring Your Own Towel)! The "Clean Paws 4 A Cause" check out flexpetz.com event takes place at Blue Seal on Stillwater Saturday, September 22, 2012 from 11am-3pm. Don't forget to BYOT (Bring Your Own Towel)!